The goal was to create a shader with benefits, to build any type of product and bring it -gradually- to the desired intensity. The very dense bundling of the bristles and its fullness up to the tip allow for work at any angle. Browbone, blending, smudging or polishing, this is also the eyeshadow brush that I use for smoky looks, either for one-shadow looks or to layer several colors , diffuse the transition into the crease and brighten the browbone area. With the sides, pick the product, tap off excess, transfer the pigment onto the target zone using a combination of pat and wiggle strokes. With its tip, pick the product, apply or blend using back and forth strokes. So many eye shadows; so little time. Sonia, I have a few Colour Pop Super Shock Eye Shadows. Are you familiar with this formula? They resemble the L’Oreal Infallible Eye Shadow formula but are not the same. I don’t think they are cream-to-powder. My question for you is if the Builder One is okay to use with the Colour Pop and L’Oreal shadows. When I get the Builder Two, I’m looking forward to see the difference in the pick up of product. From what I’ve learned so far, the dyed goat hair picks up more product than the undyed goat hair. What’s the reason behind not using dyed goat hair brushes with liquids and creams other than a possible transfer of the dye? I know squirrel hair should not go near creams and liquids, but am wondering if the dyed goats can handle it. Thank you for letting me bend your ear, again. Next time you happen to be in Japan, send my greetings. I would very much like to visit there for several wonderful reasons. 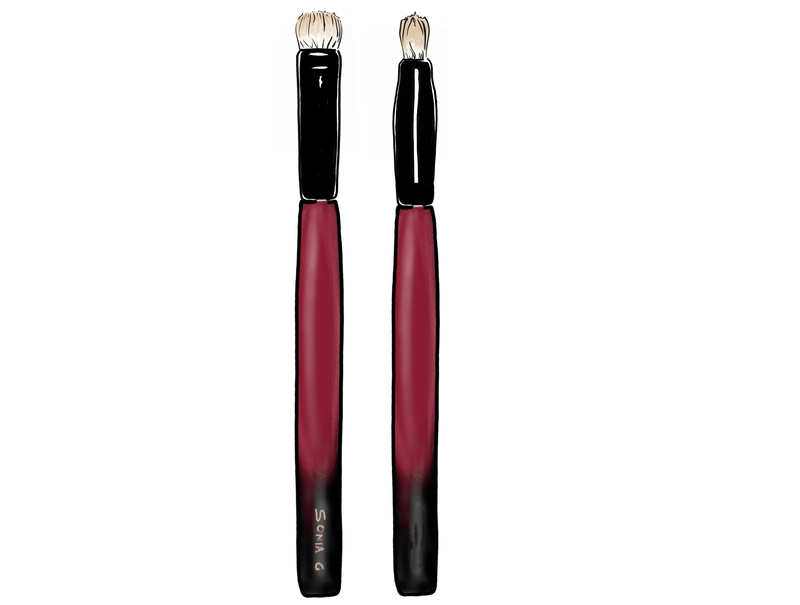 So… Do you think you will ever show up on YouTube demonstrating your brushes? Sorry for the delay in my reply! I am not familiar with the colour pop super shock, I will get some when I am in the USA in May, hopefully I will find them. I believe both builders are fine to use with them, also the Worker One I think it will be just fine but may deliver a sheerer application and not as precise as the builder one but I use it to pair it also with difficult shadows that need some kind of discipline! Take care sweetheart, it’s always a pleasure to read you! !